SINGAPORE - Prime Minister Lee Hsien Loong said on Wednesday (Jan 27) that he intends to make several changes to Singapore's political system to ensure that it continues to serve the needs of the country for the longer term. "My aim is to strengthen our system to make it more open and contestable, and to keep it accountable to the people," he said when he joined the motion to give thanks to the President's Address at the opening of the new session of Parliament. He said the system must be one where all political parties, especially the ruling People's Action Party, have to fight hard, stay lean and responsive to people, and win the right to govern at each election. It must also be a system where Parliament will always be the place to debate and decide important policies where alternative views always have a place, where the opposition will never be shut out, and the Government will be held to account. This is so "the government of the day - whoever that may be - is always kept on its toes", he said. 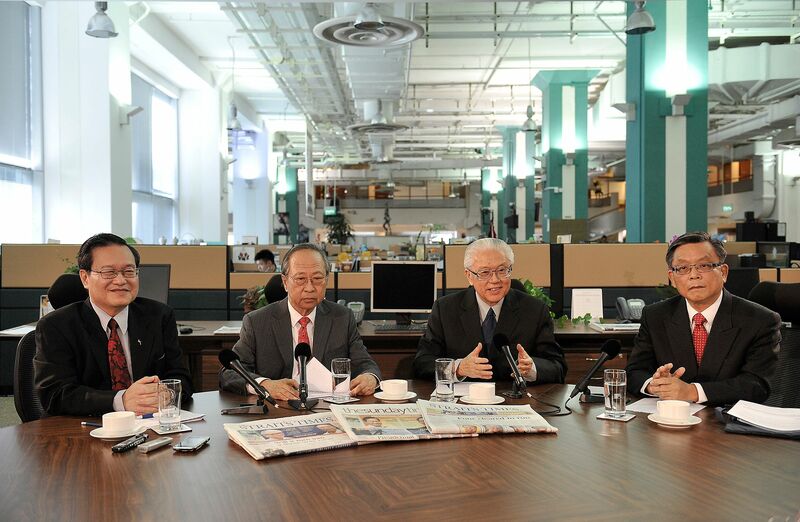 The President will remain an elected office, said Mr Lee. If the President is not elected, he will lack the mandate to wield his custodial powers. But some aspects of the system introduced in 1991 need to be reviewed and updated. A Constitutional Commission will be appointed to study changes to the Elected Presidency (EP) system. Chaired by Chief Justice Sundaresh Menon, it is expected to submit its recommendations by the third quarter of this year. The Government will table the necessary legislation within this year. The Commission will look into three areas: reviewing the qualifying criteria of EP candidates, ensuring minorities have a chance to be elected president and building up the Council of Presidential Advisers. To qualify for the presidential election, candidates have to show that they have the high-level competence and experience required for the position. For example, he must be a minister or a top-ranking official in the civil service, chairman or chief executive officer of a statutory board or the CEO of a company with a paid-up capital of at least $100 million, among other conditions. While the principle behind the qualifying criteria for presidential hopefuls remains valid, it needs to be brought up to date, said PM Lee. He cited the example of how candidates are required to possess the experience of running a company with a paid-up capital of at least $100 million. Based on inflation alone, that amount in 1990 would be equivalent to $158 million today. The number of companies with a paid-up capital of at least $100 million has also jumped from 1,200 in 2010 to more than 2,100 now. At the same time, many changes have taken place since 1991 when the EP system was introduced. 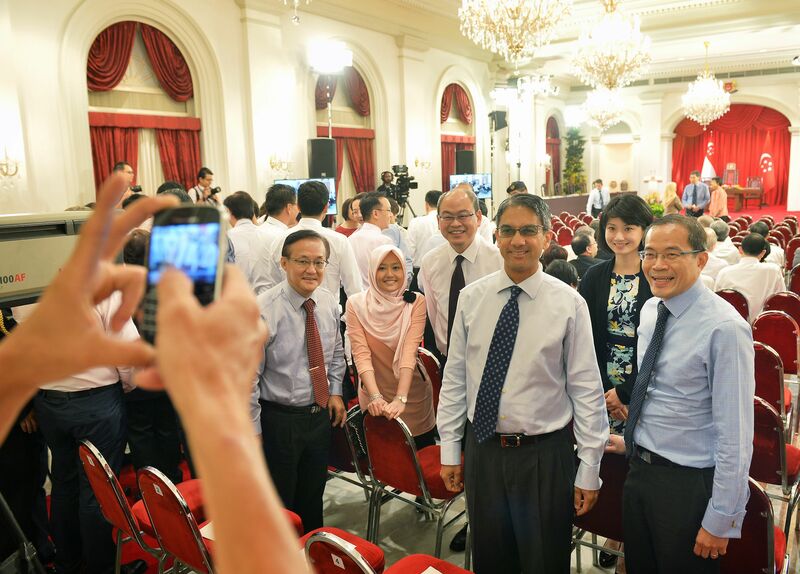 The economy has grown, government spending and reserves have increased, and the size and complexity of organisations subject to the "second key" of the President have increased many fold, Mr Lee said. Hence, there is a need to review the criteria. A mechanism similar to the group representation constituency (GRC) scheme in a general election should be considered, Mr Lee said. This is to ensure that minorities can be "periodically" elected if a member of a particular minority has not been President for some time. He noted that Singapore has not had a Malay President since the Elected Presidency system was introduced in 1991. The CPA assists and advises the President in exercising his powers so that the system does not rely on the judgment of a single person. While the President has to consult the CPA on decisions on supply Bills or key appointments in the public sector, that is not required in other areas where the President exercises custodial powers. The commission will study whether the views of the CPA should be given more weight. The minimum number of opposition Members of Parliament (MPs), including Non-Constituency MPs, will go up to 12 - from the current nine - from the next general election. Given that at least 30 per cent of voters vote against the Government in any election, Mr Lee said it was reasonable to ensure a minimum of 12 opposition MPs, including NCMPs, in a 100-member House. The Constitution will be amended to give NCMPs the same voting rights as elected MPs. The NCMP scheme, introduced in 1984, awards seats in Parliament to the best-performing losing opposition candidates at a general election. Allowing the NCMPs to also vote on the above would mean that they will be "equal in powers" - though not in responsibility and scope - to MPs. With this change, there will be no reason at all to perceive NCMPs as "second-class", he said. There are currently six elected opposition MPs from the Workers' Party (WP) and two NCMPs - Mr Leon Perera and Mr Dennis Tan from WP. Ms Lee Li Lian from WP has turned down the third NCMP seat offered. Mr Lee said the NMP scheme, introduced in 1990, will continue so as to bring into Parliament diverse voices from the civil society. Together with the NCMPs, there will be at least 21 non-ruling MPs in the House. The next General Election will see smaller GRCs on average and more SMCs. There are currently 16 GRCs and 13 SMCs. The GRC system, introduced in 1988, has been good, and should be kept, said Mr Lee. But he stressed the need to strike the right balance between the number of big GRCs and small GRCs, and the number of GRCs and SMCs. There are pluses and minuses both ways, he said. Bigger GRCs benefit from having an anchor minister taking care of issues and from the better economies of scale in programmes and activities that take place across the entire constituency. But smaller GRCs foster a closer connection between the MPs and residents. SMCs also give the MP direct responsibility for everything that happens in the constituency.